A large, reddish-orange fall apple discovered in Burke County, North Carolina, by renowned apple hunter, Tom Brown, of Clemmons, NC. Fruit is highly flavorful, very crisp, juicy, almost sweet. Above medium to large in size, symmetrical, slightly oblate. Skin thick, dark reddish-orange overlaid with darker red streaks and stripes. 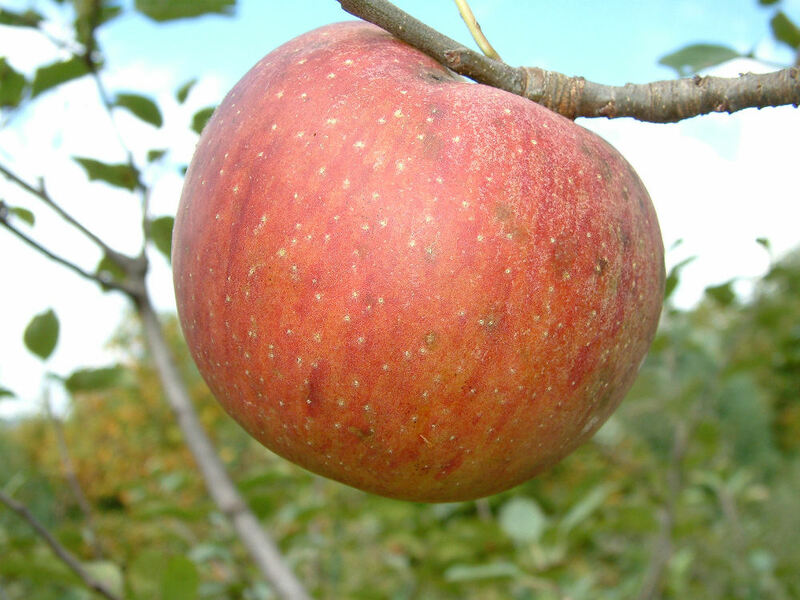 Ripens early to mid-October and is a good keeper.